It’s back to school month, so for most of us, our summer cooking hiatus is over. You know how important it is to Mimi and Mademoiselle that everyone learn how to cook. Our first cooking post, Bon Appétit, stressed the importance of learning to cook. Our posts, Perfect Pantry- Part Une, Deux and Trois, schooled you on what to buy to be prepared to cook. We promised you in those posts that if you learned to cook five things well (breakfast, lunch, dinner, dessert and appetizer) not only would you get the cooking bug, but you would be inspired to expand your cooking knowledge! We started you out with Mimi’s famous Banana Bread which triples as a breakfast, dessert and signature dish. We also showed you the best Lemon Poppy Seed Muffin recipe you will ever find. So, as it’s time for school, let’s master a quick and easy soup that can be your lunch or dinner! 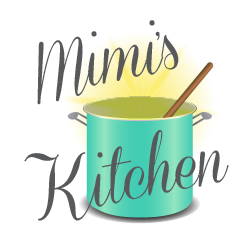 Mimi calls this “Christmas Soup” because her babies got used to having it for lunch on Christmas Day and thus the name was coined because of it’s bright hues of red and green. Mademoiselle calls it “Mimi Soup”. You can substitute most of the ingredients to fit your tastes and you can expand the recipe with ease. Serve it with crunchy French bread and you have a healthy, hearty and quick meal. 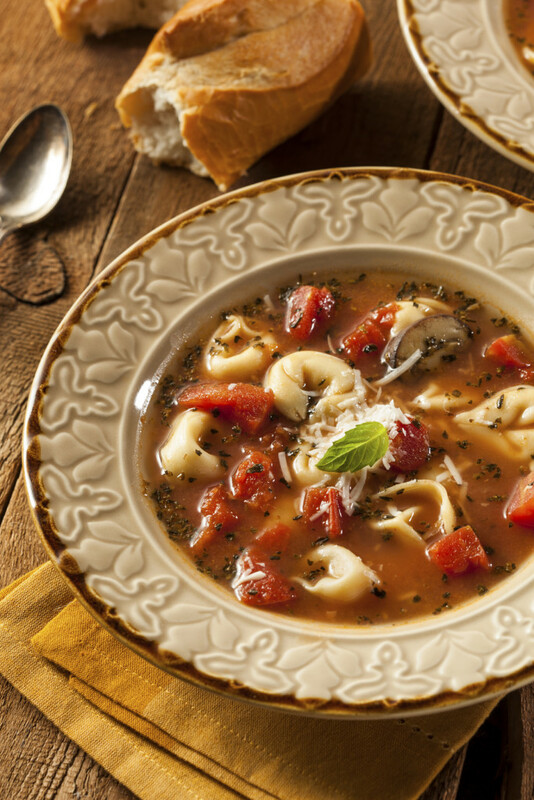 Easy and delicious Italian style soup. Serve immediately. Garnish with shredded Parmesan cheese. Hint: If you want to make enough for leftovers, make the pasta separately in water, rinse and set aside. Add to bowls separate from broth. It will keep the pasta fresher for use in leftovers and from absorbing all the liquid in the soup when you reheat.